When you meet new contacts, the first thing they’ll notice about your brand is the design and presentation. Ensure you make a good impression with a professional business or personal letterhead. Content of the letter won’t be the only thing they’ll notice, but also your style and presentation. Show your customers and clients how passionate you are when it comes to your branding and business by having it flow consistently onto your official stationery. 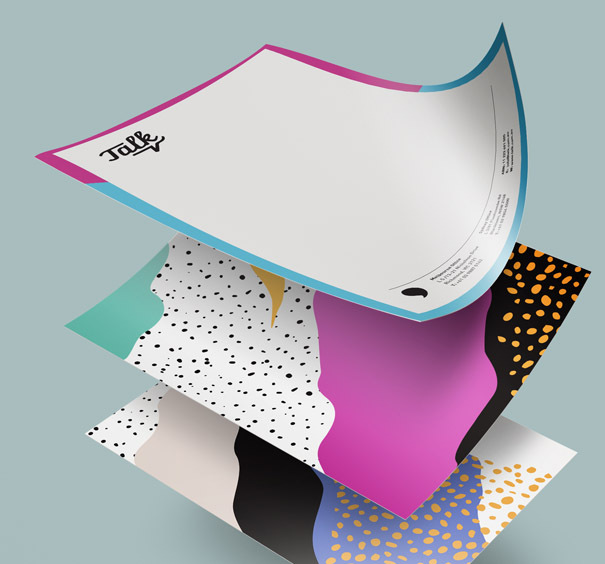 Speak to our consultants today to help you match a letterhead paper texture and feel to your business cards or existing stationery. Strengthen your brand message and show everyone your attention to detail and commitment to positioning your company as a leader in its industry. Inktank’s exceptional range of business stationery exudes professionalism by the choice of virtually limitless options of paper thicknesses, finishes, colours and textures. Feature your logo for a powerful brand image by applying one of our specialty finishes such as foiling, embossing or letterpress.